GImageView is a yet another image viewer which solves hopless situation under displaying a lot of images. It works on X Window System. GImagView 0.2.27 has been released. GImagView 0.2.26 has been released. GImagView 0.2.25 has been released. 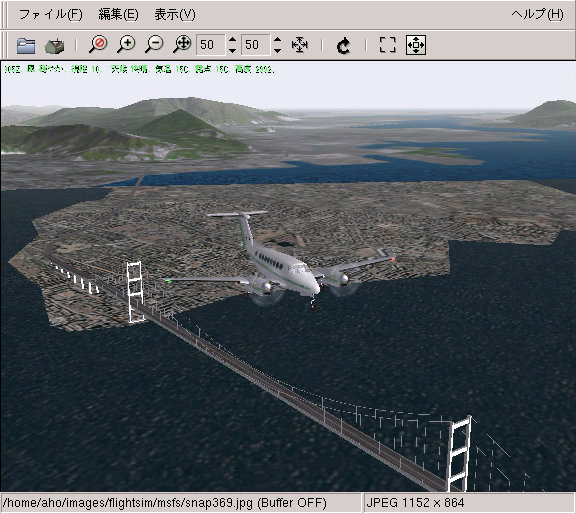 GImagView 0.2.21 was released at 22nd May, 2003. To remove a misunderstanding that there are no English web sites of GImageView , and to cope with indication that there are no links to another pages written in another language, we've been renew the web site of GImageView. GImageView is a yet another image viewer which solves hopless situation under displaying a lot of images. It provides not only viewing image function but also managing image files function which looks like expolore of MS-Windows or tabbed web browser. 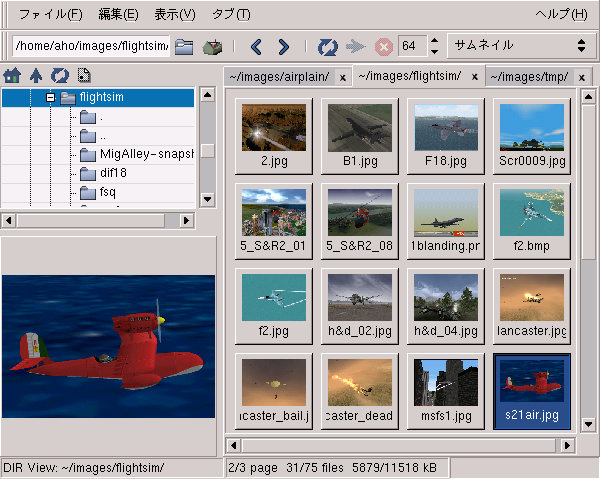 The main target platform of GImageView is X Window System, but it may works on frame-buffer of linux and Cygwin when compile against Gtk+2. In addition to this, GImageView can play movie and sound files! Please send your comment or suggestion for this software and this web site to Forum or ashie@homa.ne.jp.